Ford gave the new S-Max a more upscale look by moving back the front pillar to create a longer, sculpted hood. The lower roofline, slim lights and muscular haunches around the wheel arches make the large minivan appear sharper. 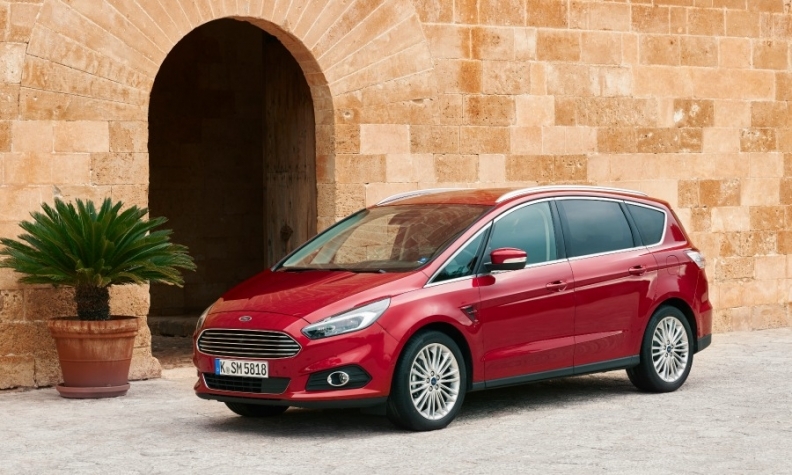 Ford has given its new S-Max a wide array of advanced technologies and a sleeker design. The S-Max is the first Ford worldwide to offer a speed limiting system that scans traffic signs and adjusts the throttle to help drivers stay within legal speed limits. It is also the first Ford with glare-free high-beam technology that detects vehicles ahead and fades out light from the headlights that could dazzle other drivers while retaining maximum illumination of other areas. Target buyers: The S-Max is aimed at families with an active lifestyle while the company's seven-seat only Galaxy targets traditional large minivan customers. Ford expects 70 percent of S-Max buyers to choose the five-seat version over the seven-seat variant. Technology: The S-Max's pre-collision safety system that detects people in the minivan's path and can automatically apply the brakes is a segment first, Ford says. The minivan also gets Ford's latest all-wheel-drive technology that automatically enhances traction. What's good: The 32 seating and load-space combinations and push-button control to fold flat the rear seats make the minivan practical. The front-seat massage option reduces muscle fatigue during longer drives. Such technology will help the S-Max attract buyers of premium station wagons, said Ford of Europe marketing boss Gaetano Thorel. Ford expects annual sales of 40,000 units of the S-Max, which is only available in Europe. The car’s main rival will be the new Renault Espace, which has similar crossover styling. Ford executives said the S-Max’s lower starting price and its optional all-wheel-drive, something not offered on the Espace, may give it a sales advantage. The S-Max was Europe’s No. 2-selling minivan last year with a volume of 32,543, up 7.9 percent on 2013. The Sharan was No. 1 with a volume of 33,705, up 8.4 percent. An upscale Vignale version of the S-Max is set to launch early next year.